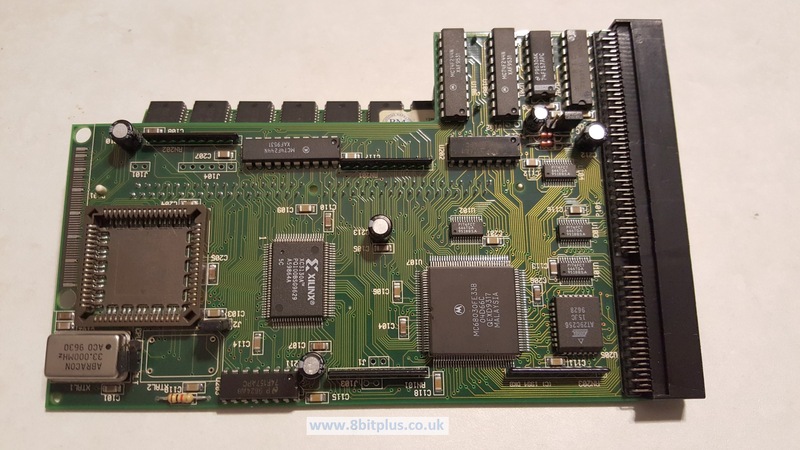 The other day I got an email commenting on some of my Amiga 1200 projects, and asking for advice on creating a Amiga game system. One system both optimized for games, and to be cost affective. This got me thinking that would be a good topic to cover here. The “Big Box” units including the Amiga 1000, 2000, 3000, 4000. These were intended for professional workstation use at the time and are very expandable. They are often very expensive, especially for the 3000 and 4000 when expanded. 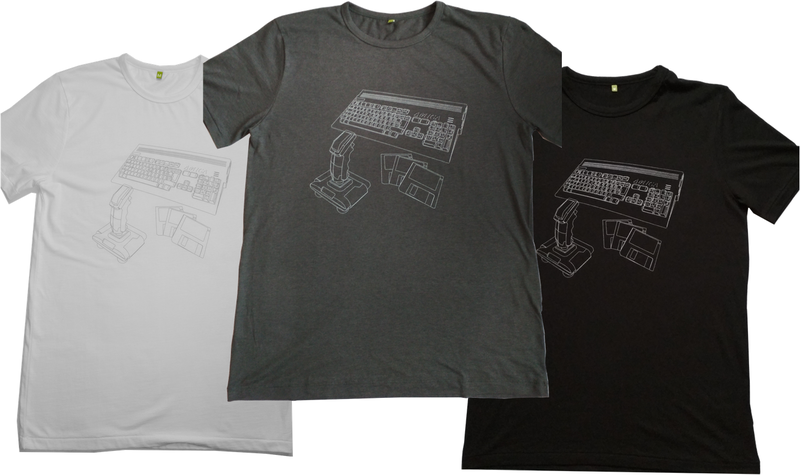 Out of all the above, only the Amiga 1200, 4000 and have the AGA (or Advanced Graphic Architecture) AGA was the last graphic system created by Commodore and the most advanced. Its capable of better speed and more onscreen colours than the previous ECS (Enhanced Chip Set), or the first (Original Chip Set) OCS. Although AGA has the fewest games that take advantage of it, some of them are very good and a good improvement on the lesser versions. So I would recommend it, but its up to you. 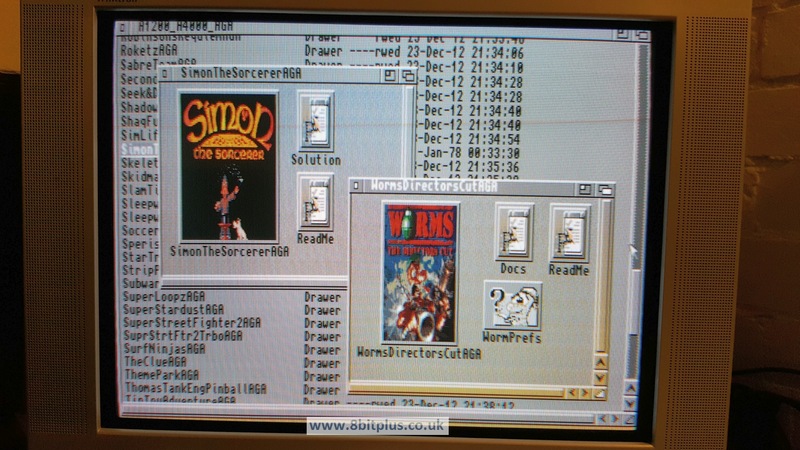 Almost all games are programmed for OCS, so in theory any Amiga could be used. My recommendation is the A1200 for AGA. it has the good compatibility with older games (when using WHDLoad), its cheaper that the Amiga 4000 and much easier to find.I could also recommend the A600 if you don’t want/need to play the AGA games Its smaller than the Amiga 500+ and slightly easier to add a HDD. 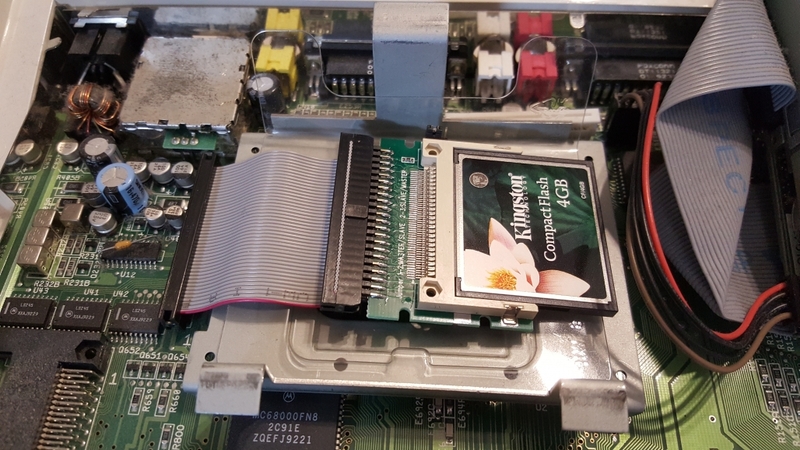 Both the Amiga 600 and 1200 have an internal IDE port for attaching hard drives. This is vital for this article. 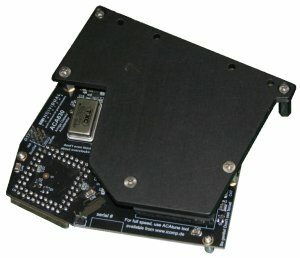 The older 500/500+ are harder to add an internal hard drive although its not impossible. 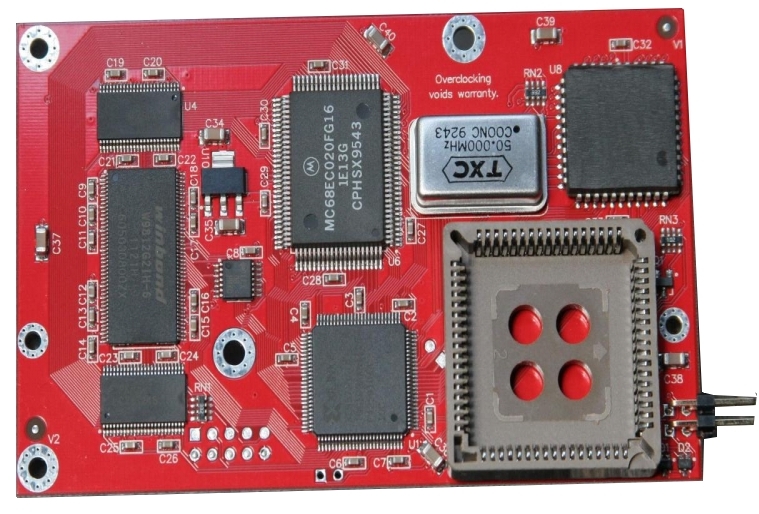 Try and get Kickstart roms 3.0 or 3.1 for your Amiga. 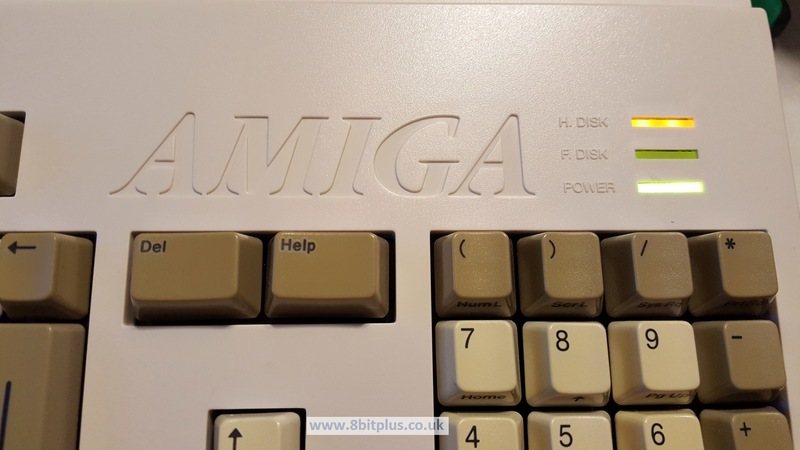 Expanded Amiga 1200 usually sell for around £120+. Perhaps more if it includes games and accessories. Amiga 600 around £100, but as with all old hardware you might find a bargain if you don’t mind a condition drop. 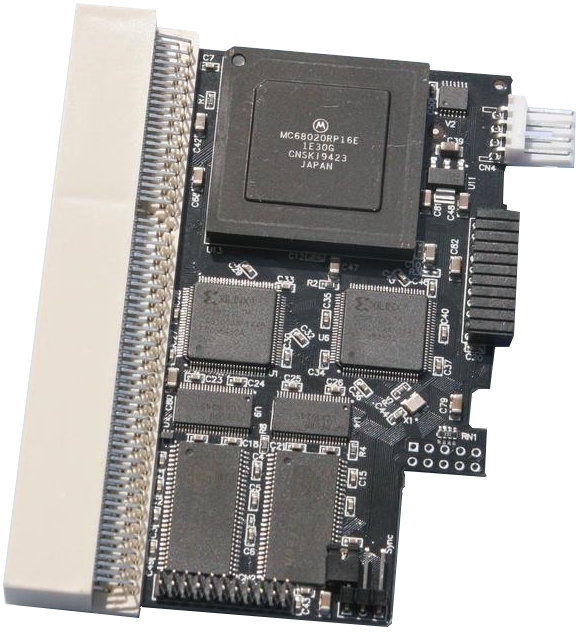 A fast-ram card will give the A1200 more work space for the OS and WHDLoad to work properly. Tracking down an older RAM card on Ebay or Amibay may be the cheapest option. Something like the Magnum RAM 8 , or Elbox 1200/0-8 would be a good start. Expect to pay around £50+ for a RAM card, although you might find a bargain somewhere. The next level up is a card that combines a slightly faster processor and more RAM. This will make everything much easier to use, faster to load and generally improve the whole experience. ACA 1221EC Accelerator would be a great option. Expect to pay around £100+ for this. Some of the older cards may be cheaper. 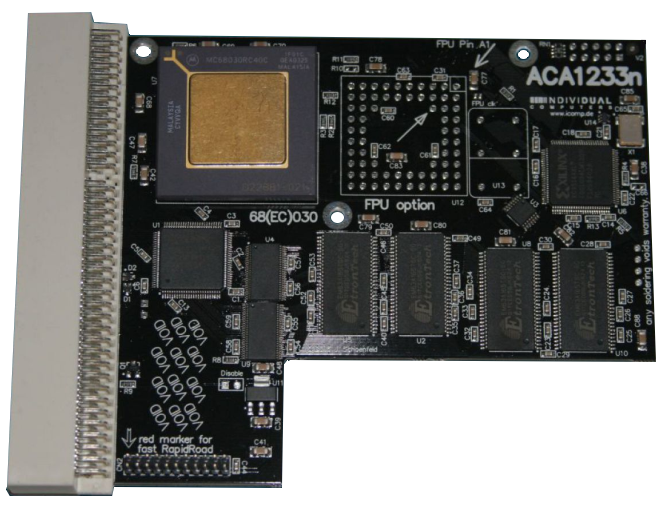 Many accelerator cards were produced for the A1200 over the years. Some are far too powerful for our requirement here, but I’d stick too accelerators with the 68030, no higher. the 040 and 060 are very expensive and bring no benefits to a WHDLoad system. They also draw much more power and make more heat. A good blizzard, ACA, Apollo, or Viper 030 card, with 8 to 16mb would be perfect if you are happy to spend £120 to 200+ on the card. The most basic upgrade for the A600 is the additional 1mb RAM card, bringing the A600 up to 2mb of chip RAM. Lots of Amiga games need a full megabyte to work properly, and we want to load an OS and WHDLoad too. The A604n will provide the additional 1mb RAM for around £35 but older memory cards can be found for around £15 of you keep an eye on eBay. This is a good option to get even if you intend to get one of the accelerator cards below. The A600 received fewer upgrade options than the A1200, but they are out there if you look. The ACA 620 Accelerator would be a good start if you can find it. This will bring the A600 in line with everything we want to do here. Expect to pay around £100+ for this or similar card. Faster cards with 030 processors are around, but perhaps harder to find. An example is the ACA 630/25 Stealth Accelerator. Expect to pay around £150+ for this or similar card if you can find them. The Amiga 1200 and 600 can be easily and quickly fitted with a 3.5″ HDD, but nowadays we install a Compact Flash card as a Solid State drive. The benefits here are no noise, little heat and less power usage. The CF cards and adapters are readily available on Ebay. 4GB is plenty of space for all the games and the OS. Card and adapter should be in the £10-20 range. Installation is very simple. 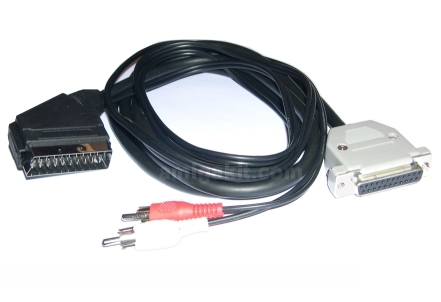 Just attach the card adapter to the internal 44pin IDE port. The CF card can then be setup as a Hard drive from the Workbench install disk. You may want to get a newer mouse and a decent joypad/stick for the games, but these are optional. I also recommend a Compact Flash to PCMCIA adapter + card, and a Compact Flash USB adapter on your PC. 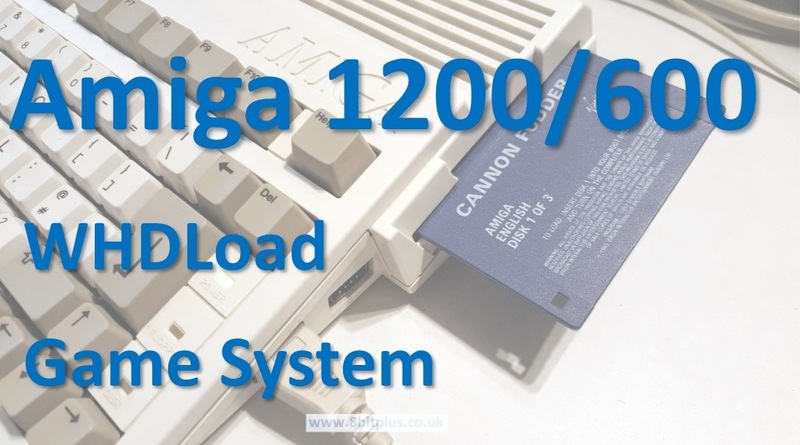 This will let you move files over to the Amiga 1200 and 600 very quickly. When setup its almost like a USB flash drive.Another good option is an RGB scart cable. This will give perfect image quality on CRT TVs and will still improve over composite images on LCD TVs. 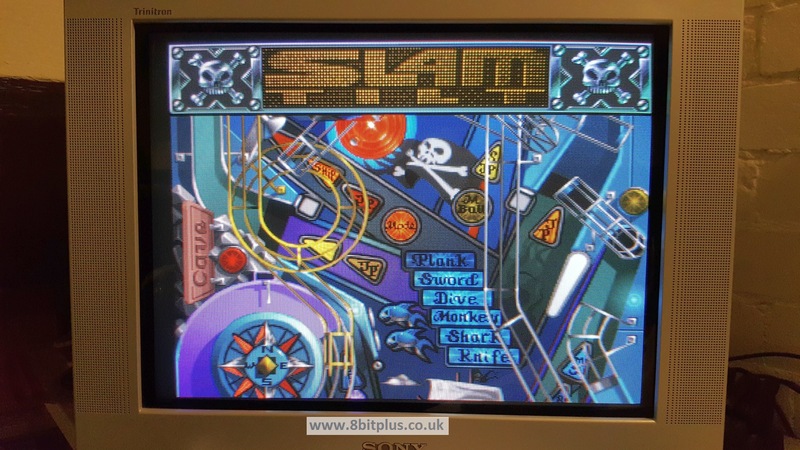 This is the magic program that turns an Amiga into a gaming jukebox! 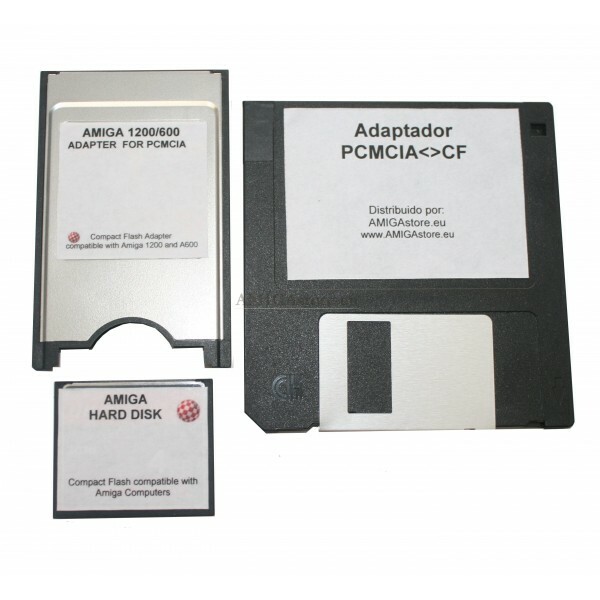 If you’ve ever played Amiga games, you’ll know they are spread over multiple floppy disks and not all of them are installable to HDD. WHDLoad gets around both of these problems and makes a container of sorts that hold the game data, fix compatibility and even game bugs. Officially you transfer over an Installer which then reads the content of your original floppy’s. Online you might find the games to download too, but no help from me there. 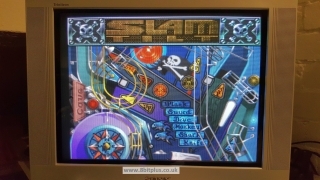 As a bonus, most games bypass the copy protection screens or code entering pages. Because who’s going to get the code wheel out nowadays? When the game is setup you can just double click its icon to start playing. Most games even let you exit back to Workbench with a key press instead of having to power off or reboot. 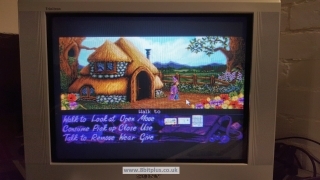 If the game is incompatible with your Kickstart 3.0 or 3.1 in your Amiga, you can provide a Kickstart 1.3 file that is loaded along with the game. So you now have an Amiga, upgrade card, HDD and accessories all together. You can now start the installation. 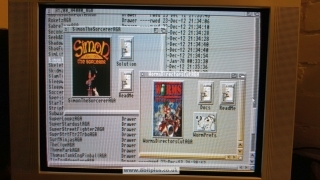 This can be done from Windows and the Amiga Winuae emulator if you like. Or on the real Amiga with the Workbench floppy disks. You can also use a pre-compiled and ready to run Workbench setup like ClassicWB. I recommend using the new SFS file system over the old Commodore FFS. Its much faster and more reliable. You will need to install this when formatting your CF card and it needs at lease a 020 processor to be installed. Always keep your Workbench partition within the first 2Gb of the drive. 256-512Mb is more than enough for Workbench. Keep all partitions under 4Gb each unless your use SFS and new SCSI.device. When workbench is installed, transfer over a copy of WHDLoad and use the included installer. This copies everything to the correct places. Make sure to include a copy of Kickstart 1.3 to your DEVS: draw for backwards compatibility. Your games can sit on any drive or partition and can be run from their icons. You can also find loads of handy front-ends and launchers for WHDLoad, some even include screenshot and sound samples. So there you go. A WHDload gaming system for around £220+. As classic gaming systems go that’s not cheap. Almost as much as a new PS4! Although you must remember the price of Amiga stuff has sky rocketed in recent years, so has the interest in retro games. 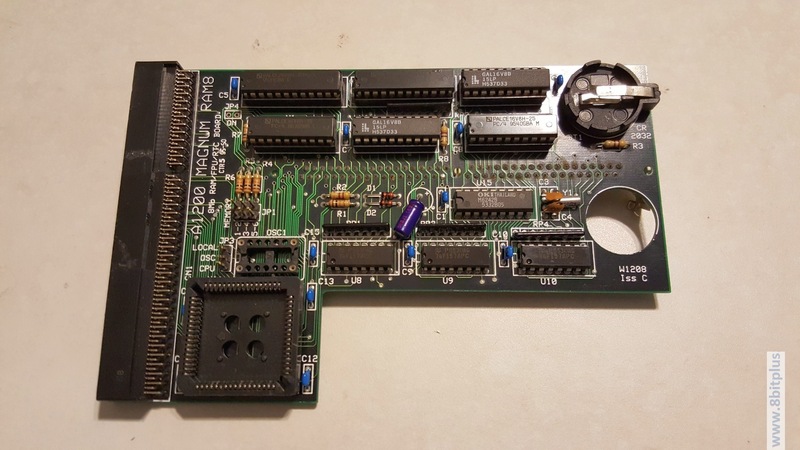 Plenty of people and company’s are still making adapters and upgrades for the classic systems and they still have a thriving community with plenty of people like me who are happy to help. I always enjoy playing a game on the real hardware over emulators. But as time goes on its becoming costly and might not be within everyone’s price range. 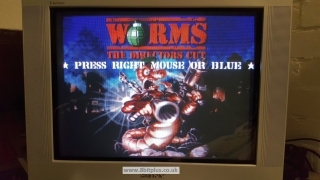 Well, I’m off to play Simon the Sorcerer, and my old favorite Worms.